Author EM Lynley has used this technique for more than five novels–all sold to publishers–and shares her proven method with you. You’ll need two sets of Worksheets to use the book. The Worksheets are FREE with the book, or you can buy them separately. 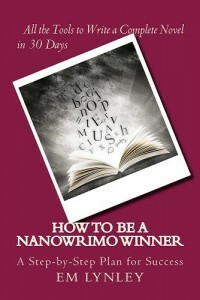 However, all the instructions and detailed tips for using the sheets are in the book, How to Be a NaNoWriMo Winner. You can apply the worksheet price if you later decide to buy the whole book. Buy the Full Planning Guide – How to Be a NaNoWriMo Winner–includes the worksheets in a zip file with the book. Also available from Amazon, Smashwords and ARe/Omni.